I originally wrote this piece for FEAST Magazine. Wanted to share this awesome place with all of you! M.
Opening today in the heart of Clayton, the new fast-casual Crushed Red – Urban Bake & Chop Shop offers chopped-to-order salads, handcrafted pizzas on whole-grain dough and hearty soups. This latest innovation from St. Louis restaurateur Chris LaRocca, along with four other notable partners, including Panera Bread’s former national bakery director, Mike Mario, is sure to change your opinion on fast food. Fresh, all-natural ingredients and unique flavors make Crushed Red a place for both the food lover and health-conscience diner to put on their must-try lists. The goal is to make even the most hurried diner feel at home, and during a preview tasting Saturday that we attended, the staff did just that. Customers can watch as their orders are prepared right before their eyes, allowing them to see the ingredients and tailor them order to their liking. 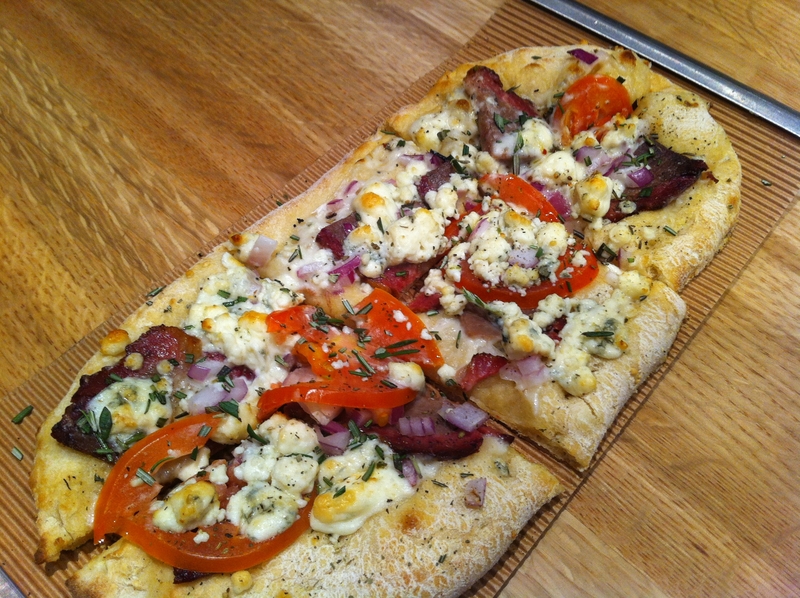 One of the delicious pizzas: the Steakhouse with Parmesan cream, smoky beef brisket, rosemary and mozzarella. If you’re in the mood for a salad, pick your own ingredients or try one of their menu options, such as the Emerald Coast with roasted shrimp, avocado, mushrooms and crispy bacon crumbles. 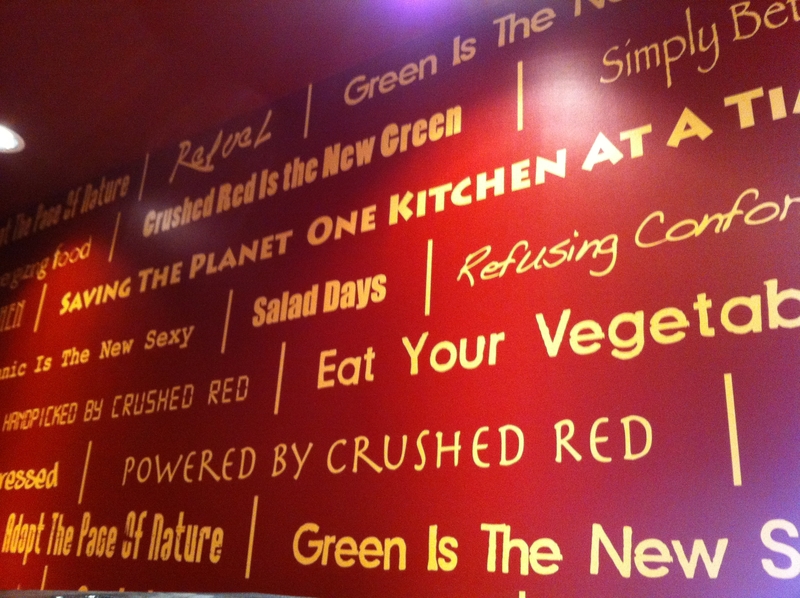 Crushed Red has promise as a great neighborhood locale, perfect for lunch or meeting a friend for a casual dinner. 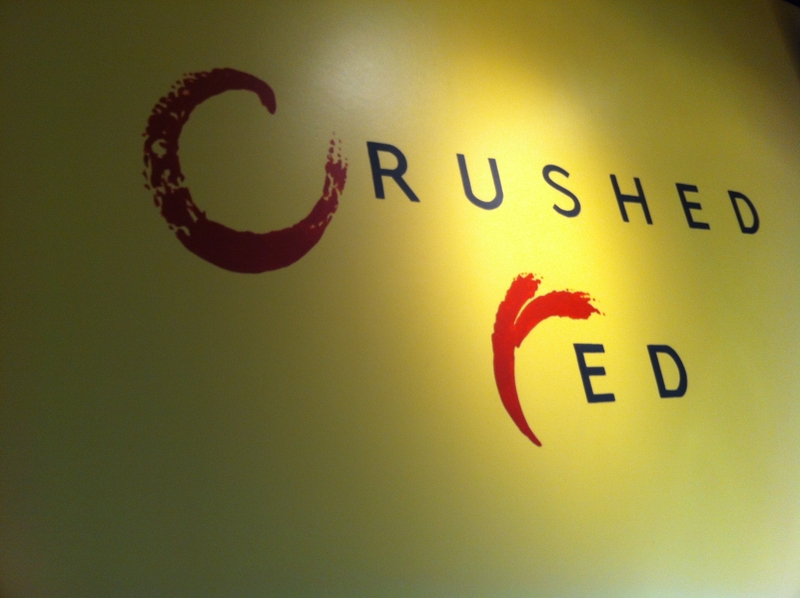 Crushed Red is located at 2007 Maryland Ave in Clayton. For more information, visit crushed-red.com. I wish this was closer to me. Looks delicious!